After bumping into countless individuals at a local mall who were so consumed with their digital devices that they didn't bother to look up, Tex Allen was beyond frustrated by the state of disconnection in our world. Even the cashiers who rang up his transactions seemed to have forgotten how to have an authentic, human interaction and it really bummed him out. On a whim, he decided to put on a clown nose he'd recently been gifted at a friend's wedding before going into a Starbucks for a post-shopping coffee break. He needed something to cheer him up and decided that since no one pays attention to each other anyway, he might as well do something fun. Within minutes, numerous people approached to ask what has now become a seminal question in his life, "Why the nose?" When a woman said she'd love to have a nose to take to a friend she was going to visit in the hospital, Tex ran out to his car and got one to grant her wish. The smile on her face and the authenticity of the hug she gave him in return made him realize he never had to feel disconnected again. His partner Cat also sensed he was onto something and suggested they could get the url WhytheNose.com, which they did right away. That was nearly five years ago now and Tex has worn a nose in public every day since. He's given away upwards of 30,000 free noses to others and Why the Nose supporters, inspired by his example, have handed out thousands of noses in over 30 countries worldwide, including Antarctica. 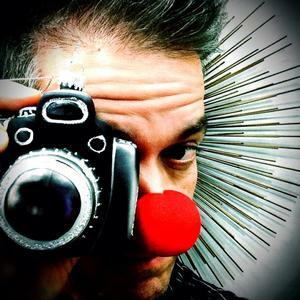 Tex documents his interactions on his Facebook page and, along with his creative cohort Mark Day, produces uplifting videos starring nose recipients they've met on their adventures to Burning Man and other fun events. As an aficionado of frivolity and fun, I jumped at the chance when Tex invited me to be a part of the Why the Nose Day he organized in 2014 as a way of inviting the rest of us to experience the joy and connection he lives every day. I felt extremely self-conscious at first when I wore my nose into the grocery store that day, but just as Tex promised, I ended up having such heart opening connections with the people I encountered that I vowed to be a part of his new annual event every year. 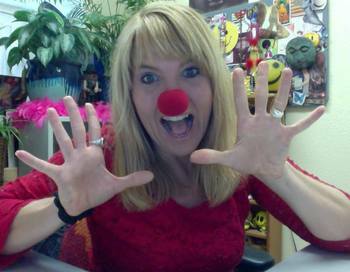 So I was surprised and concerned about how Tex would react when I saw a big box of red noses for sale at my local Walgreens, just one year later, advertising Red Nose Day 2015, which was being put on by NBC and other corporate entities, completely separate from Tex's Why the Nose project. I recently had the opportunity to talk with Tex about Red Nose Day 2015 and his personal quest to make the world a happier place one red nose at a time. 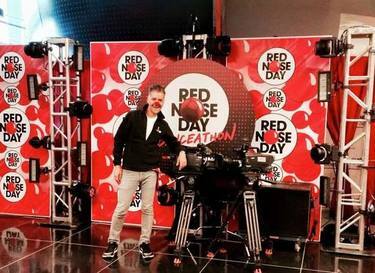 What is the history of Red Nose Day? Red Nose Day started in Australia in 1988 after a woman whose infant son died of Sudden Infant Death Syndrome came up with the idea to raise awareness and money for SIDS research using clown noses. After five years, the BBC and Comic Relief got onboard to raise money for charities in the UK, which has been going on for 15 years. 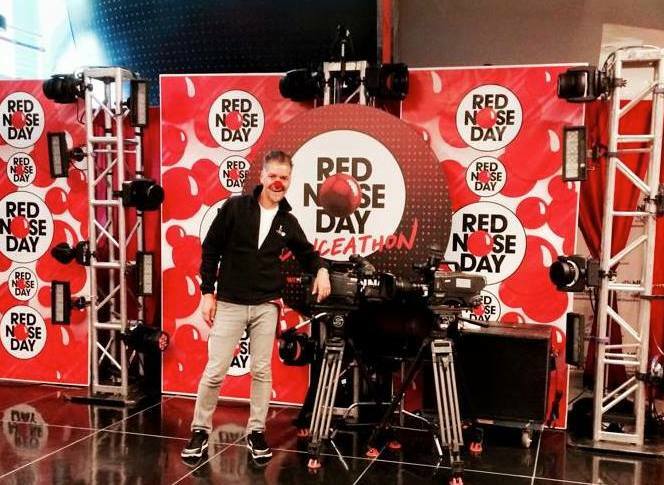 2015 was the first year that Red Nose Day came to the US. Now that it is here I am reshaping my ongoing conversation about the nose entirely because of the national media attention. Now everyone knows about it thanks to NBC and Walgreens. Red Nose Day 2015 has opened a new door that will continue in helping us take the Why the Nose love into our communities all year long. You've navigated the fact that the corporate machine has jumped on the nose bandwagon, albeit for a good cause, with grace and love. What is the mindset that has allowed you to do that? First, I got past the fact that the money will not go completely to the charities because of all of the corporate machinery. Then, realized, the great thing is that 5 million noses sold out around the country. So, 5 million people now have a connection to the same idea of doing something silly, fun, and inherently good. We're right next to what they are doing with our deeper message of joy and the power of love, and that's an awesome thing. Why do you most enjoy about wearing and giving away noses? The happiness and looks of surprise when they realize that I am doing it with an open heart. I am doing this to connect to the world. Our world can be such a lonely place that I am willing to put myself out there wide open just to have a human connection, which is something everyone innately desires. Tell me about the Why the Nose? hashtag #OneJoy and what it means. Why the Nose is ultimately about connecting people with joy. It doesn't matter what your race, creed, color, religion, dogma, or whatever it is. There is just one joy. I saved the most important question for the last... Why the nose, Tex Allen? Because it spreads love around the world person to person one nose at a time. It is a love movement centered in the now of human connection. Because it makes people happy. It brings people up out of their unconscious trance and brings them joyfully into the moment. Follow Why the Nose? on Instagram, YouTube, and Facebook. Also be sure to visit WhytheNose.com to connect with Tex and support his movement of love and human connection.